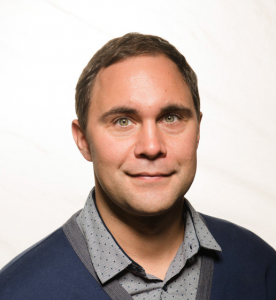 Ben completed his postdoctoral formation in Molecular Biology from Harvard University in 2007 after receiving his PhD in Medicine from McGill University in 2004. This training was subsequently applied to the study of host and pathogen interactions, with a focus on the molecular biology of virus infection. In August of 2007, Dr. tenOever joined the Icahn School of Medicine at Mount Sinai as an Assistant Professor of Microbiology. He is now a Fishberg Professor of Medicine, an Icahn Professor of Microbiology, and the Director of the Virus Engineering Center for Therapeutic and Research (VECToR) at Mount Sinai. He is a 2008 Pew Scholar, a recipient of the 2009 Presidential Award in Science and Engineering, a 2010 recipient of the American Society of Microbiology Young Investigator Award, a 2011 Cozzarelli Prize winner, and he received the Burroughs Wellcome Award for Investigators in the Pathogenesis of Infectious Disease. From 2012 to 2013, he was honored with Outstanding Young Investigator Awards from the American Society of Gene and Cell Therapy and the American Society of Virology. He was also named a finalist for the Vilcek Award for creative promise and served as a US Ambassador of Science in France as a Distinguished Chair of the Fulbright Commission in 2015/2016. Most recently he was honored with a 2017/2018 Innovator Prize by the Pew Charitable Trust. Research in the tenOever lab focuses on the mammalian antiviral defenses of the cell, the corresponding viral countermeasures employed during infection, and use of this information in the development of innovative technologies and therapeutics. This research program encompasses how antivirus defense systems developed over an evolutionary time scale to materialize into the arsenal that each of our cells now possess to ward off viruses. These studies have resulted in the identification of numerous novel kinases, transcription factors, and antiviral effectors essential to our antiviral response. Additionally, research in the tenOever lab revealed that our defenses have completely diverged from that of arthropods despite having maintained many of the same components. Using this knowledge, the tenOever lab has developed a technology to engineer viruses to artificially interface with this ancient antiviral machinery in an effort to recreate the antiviral defenses of arthropods in us. Applying these tools has resulted in fundamental discoveries in basic cell biology, revealed details regarding how viruses coordinate the timing of infection, and defined the factors that determine the basis for transmission and disease. Moreover, this technology has proven a robust platform for novel vaccine design, the delivery of biologics, and as a means of improving the use of engineered viruses to kill various forms of cancer. Taken together, the tenOever lab has led to significant advancements in our understanding of virus and host interactions while enabling new technologies for future discoveries.